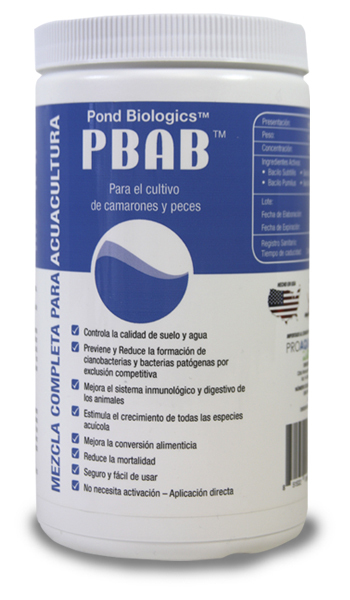 Pond Biologics® Aquaculture Blend PBAB™ is a custom blend of beneficial microorganism for use in intensive aquaculture operations. Beneficial Bacteria are crucial to the natural recycling of nutrients on aquaculture systems. Bacteria augmentation expediates the biological degradations and rapid reduction of organic matter to improve water conditions for all aquatic species. 50 – 100 grams per surface acre, once per week. Depending on stocking densities.